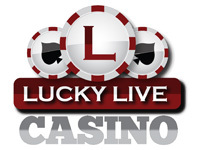 Lucky Live Casino is powered by Vue Tech Ltd, and brought to the players by Distance Gaming. 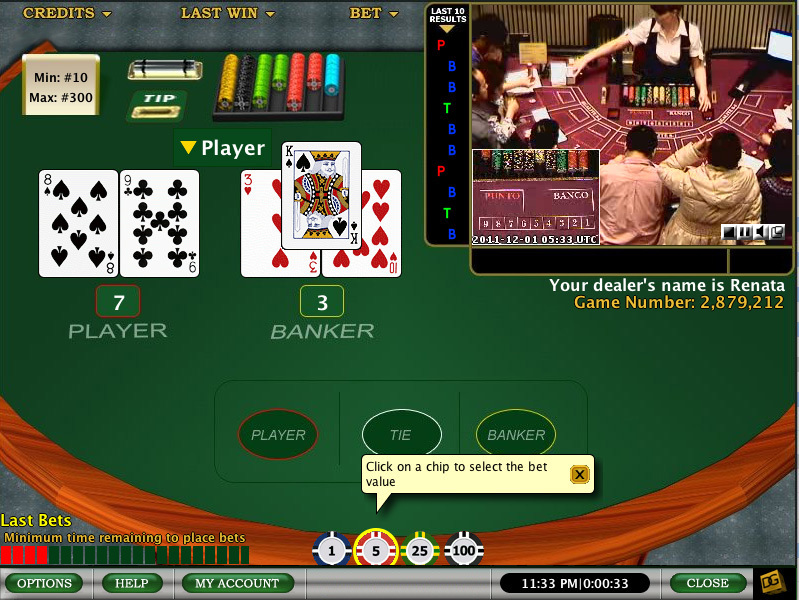 Lucky Live brings players a true to life casino experience just as they would receive in a land casino via their computer screens. The way they do it is by streaming the games live from the most popular casino in Dublin, known as The Fitzwilliam Card Club. The Isle of Man is where Lucky Live holds their license, and they have been in the online gaming industry since 2008; providing extraordinary online gaming to players all around the world. The games on offer are mainly for table game players; however, there are new games always being added, which adds to the excitement. The software and games are simple to use; even for new players, but complex enough to please the seasoned player. There is no download required, making it perfect for Mac and Windows users alike. The smooth and hi-tech software delivers real time table game action, and the software is often updated, making it even better. The games on offer are Baccarat, Blackjack and Roulette. Holdem is also available and as technology advances, players can be sure there will be more games added to the game library. The table limits are budget friendly and can be adjusted to the players personal needs; no matter your bankroll, you can enjoy a live game from the comfort of your home. If you like it at Lucky Live, you can refer your friends to join you at the tables and get rewarded for doing so. Once your referral makes the qualifying deposit, you will earn $50; and to refer your friends there is a convenient link on the website. For the latest in Lucky Live promotions, check the webpage often; there are always fresh and generous bonuses on offer for the lifetime of your account. Funding your account is easy and painless as all of the most trusted payment methods in online gaming are located in the cashier. The availability of methods differs from location to location, however, the most popular methods are there. Moneybookers, Neteller, Paysafecard, MasterCard, Visa and Delta Card are just a few of the methods found in the banking page. Should you get lucky at the tables and wish to withdraw your winnings, all cash outs will be processed between 48-72 hours. The method of depositing is usually preferred as a way to withdraw, however; if you would like to use another method simply contact support for assistance. The support staff at Lucky Live is highly trained and professional. They are quick to assist in any way they can and they go above and beyond the standard to treat players with the upmost importance. The support team can be reached through telephone, email or live support directly through the website 24/7. No matter the issue, all matters will be tended to in a timely manner.